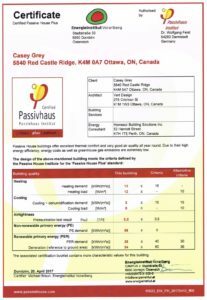 New certified passive house designed by VERT for owner Casey Grey of Cornelis Grey Construction. 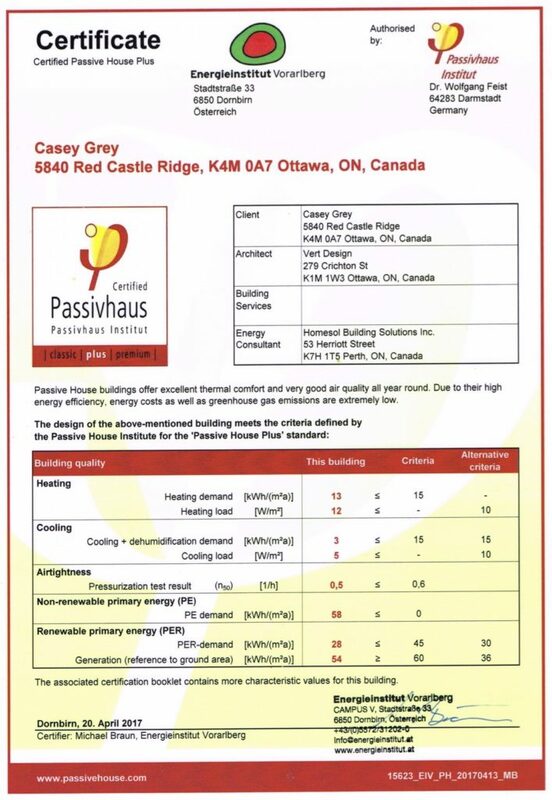 This Passive House is a great example of beauty, comfort and health coming together. 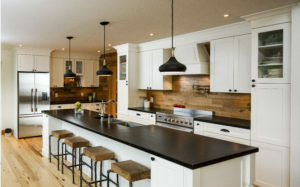 The project’s purpose was to prove that energy efficient homes do not need to be complicated. The envelope is so efficient on it’s own that there is no need for fancy, expensive mechanical equipment. The double stud walls with the exterior load bearing wall made the framing of this home very similar to typical framing. The only real difference was the fact that the floor joists were hung instead of siting them on the foundation and walls. This allowed us to keep the air barrier continuous and was a huge factor in why this home achieved a 0.43 ACH. 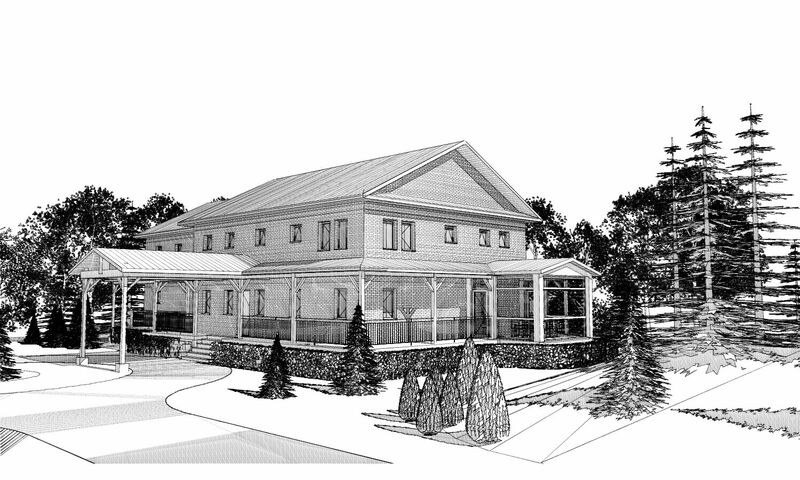 The house was angled so that the rear of the home could maximize sun exposure in the winter months. The overhangs block the sun in the summer months and keep the home cool. The air tight home with R-73.5 walls and R-94.5 attic keep the temperature consistent throughout the home. The 2 ERV systems run 24/7 and keep the indoor air fresh and clean. The solar panels on the roof are part of the MicroFIT program which makes this home cash flow positive throughout the year. This is also done while being fossil fuel free! The hot water is heated with an air source heat pump which uses the heat produced from the inverter for the solar panels. 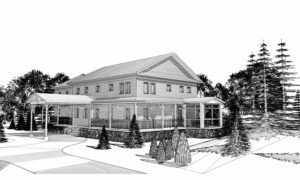 The home is also heated with air source heat pumps which double as air conditioners for the summer. The double sided bioethanol fireplace is a nice touch for setting the ambiance on the romantic nights. The reclaimed pine floors add an additional warming feel to the home and the butternut trim, which was sourced within 800km, add a touch of country elegance.